Dr. 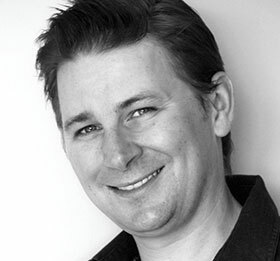 Rob Ramsay was born and raised in Winnipeg and graduated from the University of Manitoba dental program in 2001. He is praised by his patients of having an extremely gentle touch and caring demeanor. He is always smiling and ready to exchange a quick laugh with anyone. Dr. Ramsay has been involved with the mentorship program at the Faculty of Dentistry, and is a graduate of the Canadian Straightwire Orthodontic continuing education program. He performs all areas of dentistry, but has a special interest in orthodontics. He offers traditional orthodontic treatment with braces, early intervention with functional appliances, and is a certified Invisalign® provider. Dr. Ramsay is loved by his patients, and his calm and friendly personality has a way of winning over even the most anxious patients. His favourite thing about being a dentist is building positive relationships with others and establishing a lifelong positive attitude towards dental health. Also, he says it's just plain fun! Outside of work, Dr. Ramsay is a bass guitarist in a band, an amateur photographer, and graphic artist as well as a loving husband to his wife, Dr. Thomas, and father to his two children. His fatherly duties include Saturdays at the hockey rink, piano recitals, and chauffeuring the kids around.